Italian Citizenship Assistance Program is happy to announce a new service offered to apply for Italian Citizenship by Descent directly in Italy. 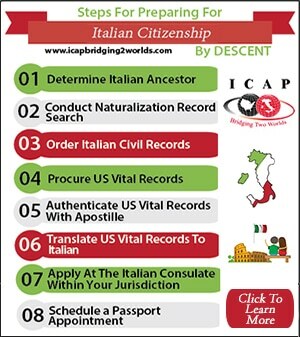 Due to the increased volume of requests for Italian citizenship through an Italian ancestor, “by descent”, appointment times at most of the Italian Consulates in the US currently range from 1-2 years. 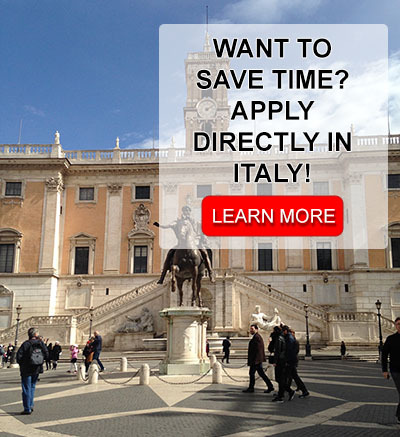 There is now a new service that we offer to help speed up the process – by applying directly in Italy! In addition to saving you time, you will have the additional luxury of a vacation in the homeland of your Italian ancestors. 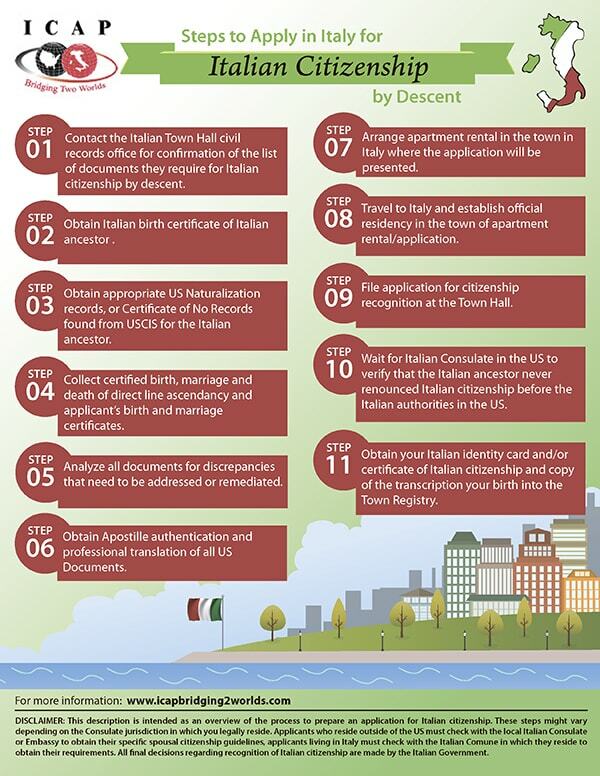 We will guide you through the entire process as seen below in our new infographic to help you understand the process of applying for Italian Citizenship by Descent directly in Italy!